If it doesn’t, we have the answer. 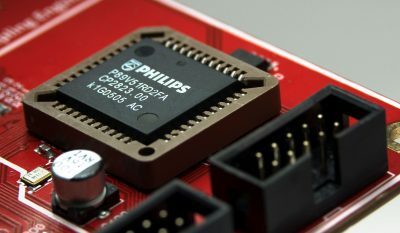 The DP-777 Digital Processor. 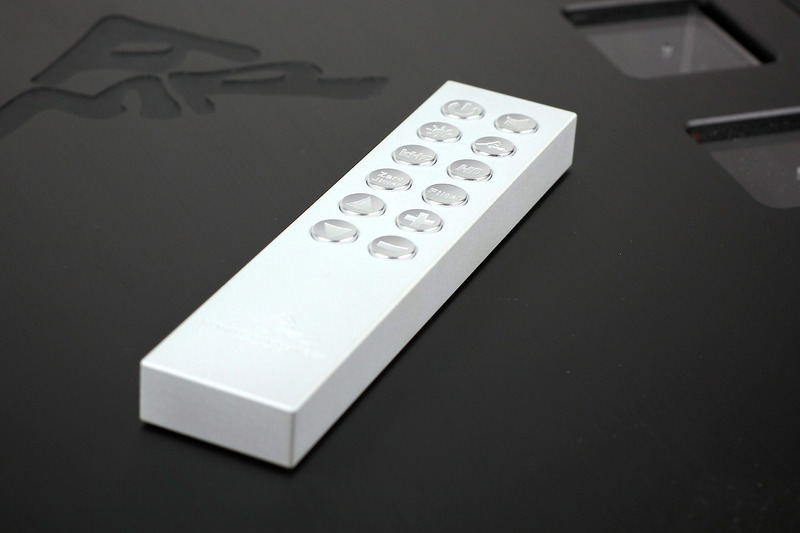 AMR believe no stone should be left unturned in delivering high-definition audio. These give the DP-777 the edge over the competition with sound that’s clean, crisp and without equal. This is HD audio at the peak of its powers. If you’re looking for pitch-perfect instrumentals and clear, natural vocals, then the DP-777 will strip away jitter and noise to unleash the real potential of your CD collection. 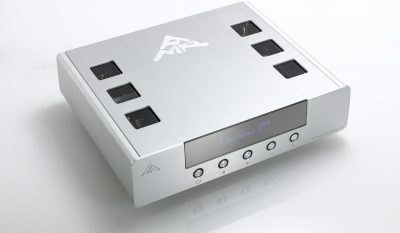 AMR’s HD Gemini Digital Engine is an ingenious implementation of two separate DACs; a HD 32-Bit DAC and a Classic 16-Bit DAC with Field Programmable Gate Array (FPGA) and Digital Signal Processing (DSP) to handle all core digital duties, including the memory buffer and managing the signal processing. 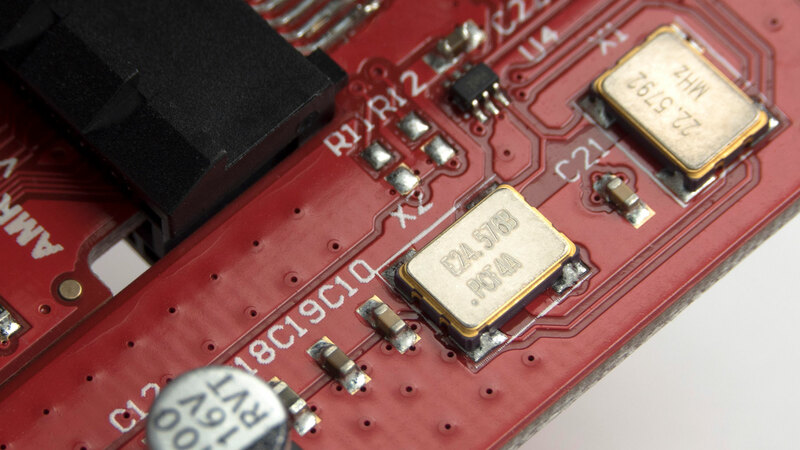 AMR has in reality, created custom-built DAC chipsets to its exacting specifications which is akin to programming many discrete logic IC’s worth of circuit boards onto one chip. This approach is technically arduous and time-consuming, but is soon justified upon listening to just the first few notes of music from the DP-777. Once the GMT clock has correctly calculated the incoming clock, the rate of updating the DAC’s clock with the minimal 0.001Hz step (~0.004ppm accuracy) step is at most, once every few minutes or less. 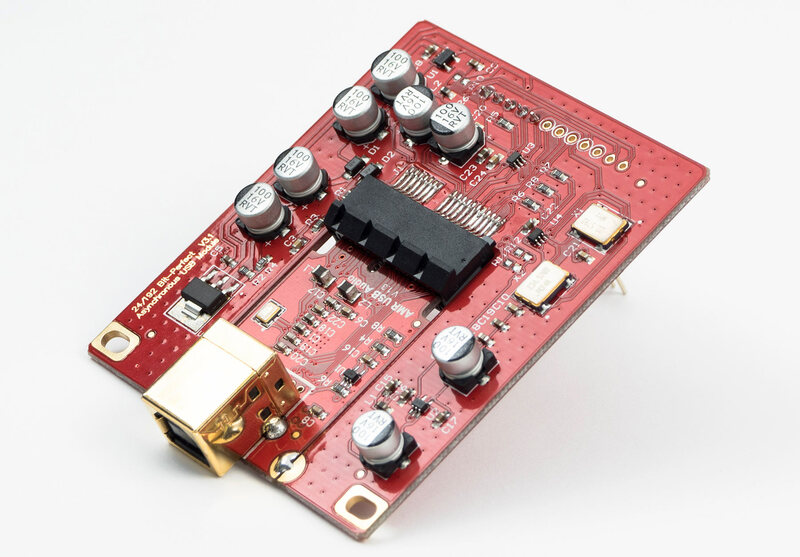 As a result, the DAC clock is completely decoupled from the source and completely stable. 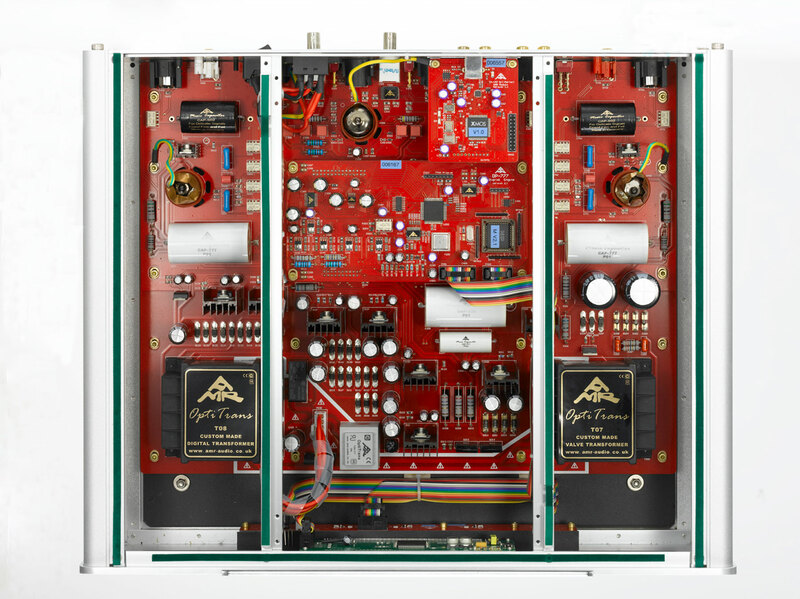 The GMT System is not a secondary PLL as used in some cases and some DACs since the late 1990’s, but an entirely new concept. Instead, GMT is a system that will completely block jitter and only react to compensate any slow drift in the clock source or to adapt to a change in sample rate. By comparison, USB Audio Class 2.0 is built into Mac OSX and many versions of Linux and supported by Microsoft on Windows and is set to be recognised as an industry-wide standard to achieve native “plug & play” support in all future operating systems. Asynchronous mode means the clocks are on the DAC side and the PC is synchronised to that stable clock. Compare this to the common way of USB audio workings where the DAC attempts to synchronise to the PC using a jitter inducing PLL to follow all the PC’s clock changes, be they caused by software directly modulating the clock or indirect clock modulation due to the varying processor loads (this is called software-induced jitter). AMR believes that having the ultimate in digital execution would count for little if the analogue section was not just as committed. 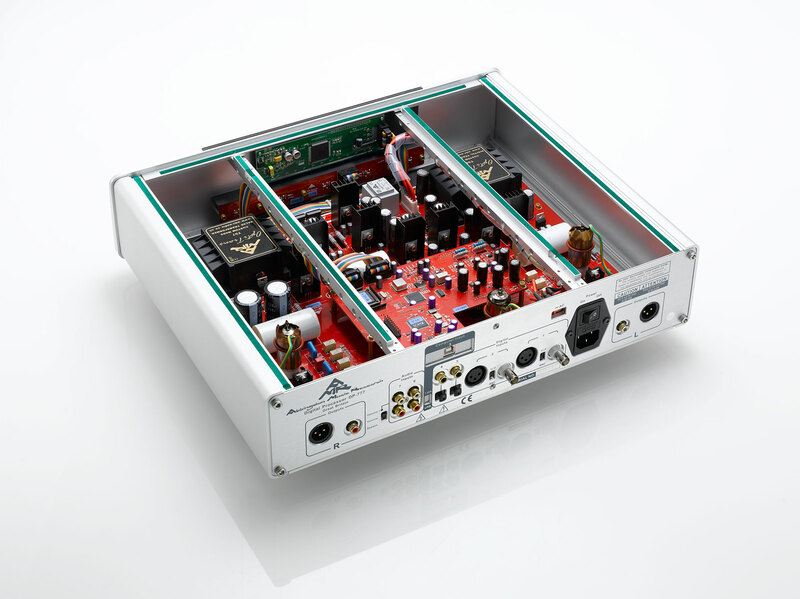 Hence, the analogue section of the DP-777 utilises AMR’s OptiValve® analogue stage with zero negative feedback and NOS 6H1n-EV valves. The “EV” designation represents the premium version of this valve. Being a double triode per channel design; in the DP-777, one half amplifies and the other buffers. Rectification and filtering in the DP-777 uses zero-noise Schottky diodes with additional noise filtering, an electronic inductor and a virtual battery design. The analogue stage of the DP-777 is identical in concept and function to that of the CD-77. With no operational amplifiers or solid-state devices, this is a major factor behind the DP-777’s organic and “vinyl-like” sonic performance that will embarrass many a high-end DAC. Underpinning the design of each and every AMR component is the use of premium components which were selected after careful evaluation and exhaustive listening. 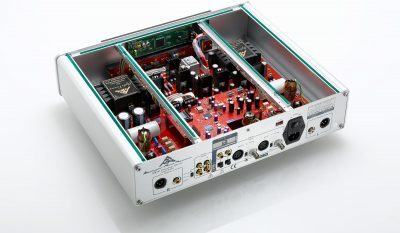 These include AMR silver leaf capacitors, Sanyo Oscon capacitors, precision wire wound resistors, 70um gold plated military-grade printed circuit boards, AMR’s own German-made premium film and foil capacitors, power supply polypropylene film Music Capacitors and zero-noise Schottky rectifiers. We positively encourage a closer inspection of the DP-777’s internal componentry. Q: Why is the DP-777 circuit single-ended as opposed to balanced? In our opinion, ‘true balanced/balanced’ is sonically inferior to dual-mono (separate left and right channels) in a single-ended configuration. 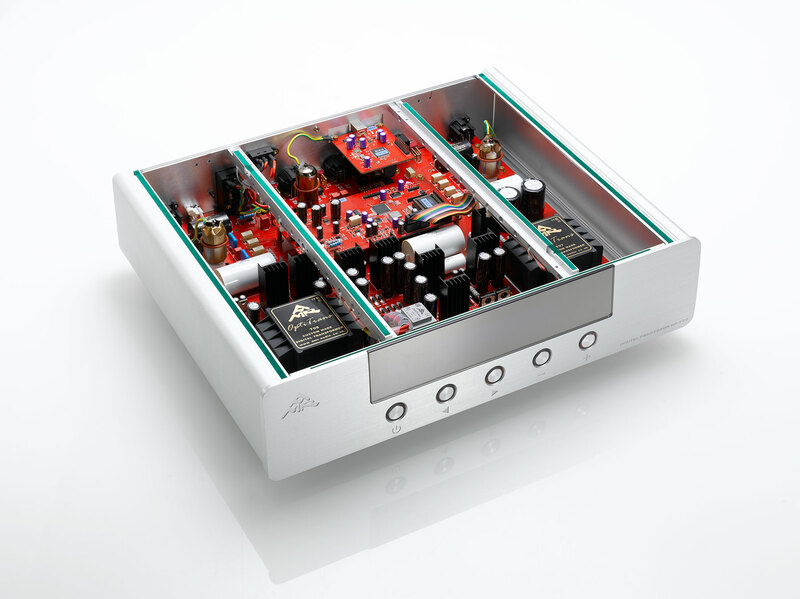 AMR’s background is in Single-Ended Triode amplifiers or SETs as these to our ears, is the pinnacle in audio design. ALL AMRs including the DP-777 are dual- mono/single-ended. This costs more to manufacture but sounds the most gratifying. We actually wouldn’t compromise on ‘true balanced’ to satisfy the common notion of its being ‘better’. 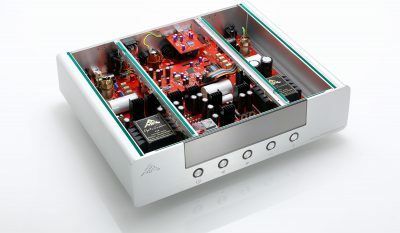 For example, all Kondo Japan products are ‘Single-Ended’ not ‘balanced’– Mr Kondo (God bless) would rather not build an amplifier than make a ‘balanced’ amplifier. AMR will not ‘bend’ its sonic principles to assuage the masses. Q: What is the importance of Bit-Perfect? Continuing the “Bit-Perfect” tradition as first deployed in the range of AMR CD Processors (through Digital Master I and II), we believe the original signal cannot be better by digital manipulation. Hence, a 24/192kHz signal is best replayed 24/192kHz. Most crucially, the signal should be kept in its original 24/192kHz form; from the Computer Audio Source all the way through to the separate DAC’s analogue output.This oft-overlook point cannot be any less keenly stressed. This explains why first, the computer software in the Computer Audio Source (OS X or Windows) should not “re-sample” the signal and second, the same within the digital converter. The DP-777 is the latter stage in the Computer Audio Source. The whole; not only the DP-777 needs to be Bit-Perfect. Technical Paper 6: If the CAS is Bit-Perfect, do all such computers sound the same? 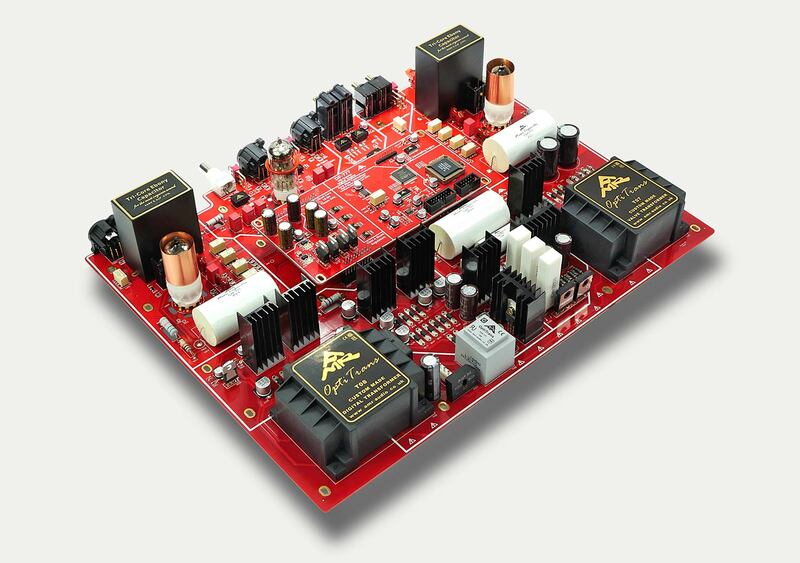 Q: What is the benefit of having 32-Bit and 16-Bit DACs on board? 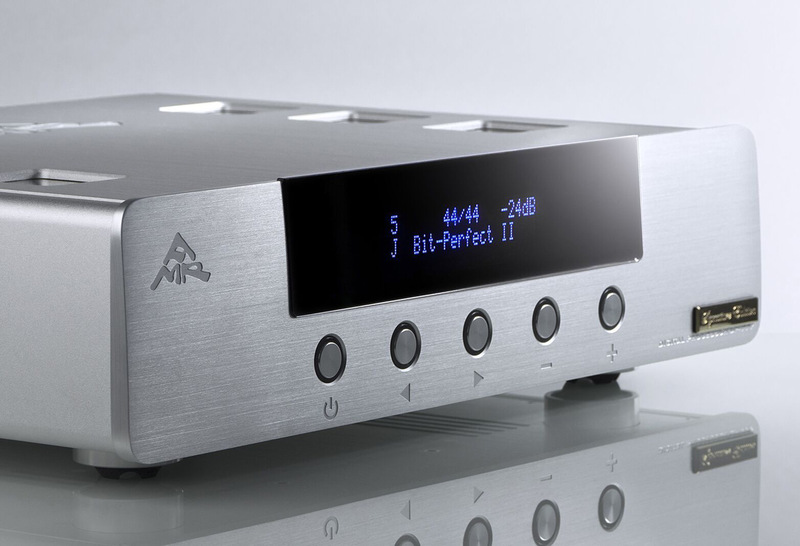 In keeping with AMR’s core philosophy of “keeping the signal original” to reach the zenith in playback quality, to play CD audio files (16/44.1), the Classic 16-Bit DAC is by far, the most musical and best-sounding DAC. Correspondingly, for playing HD music files, the HD 32-Bit DAC will also be the most optimal. There is simply no way around the fact that the “best of the best” means having the conceived DAC handle the native music file. 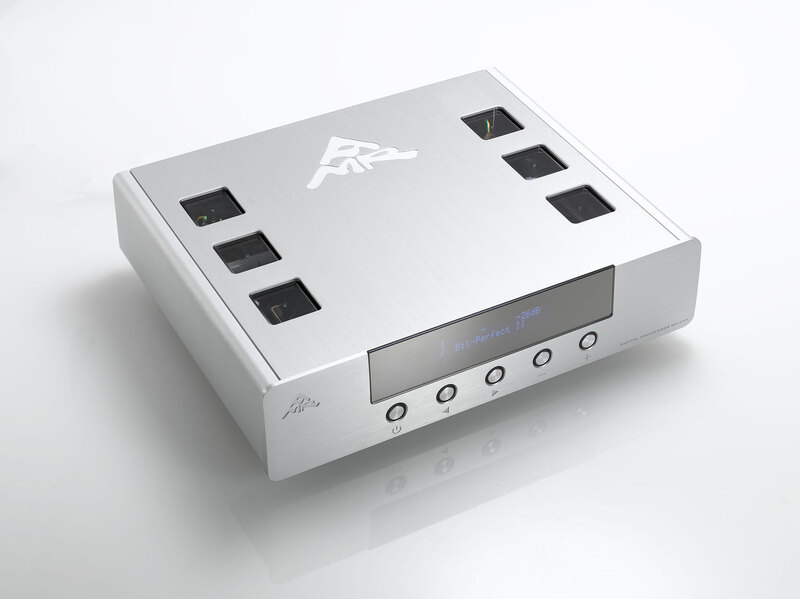 Taking this one step further, AMR chose the more taxing path and placed two DACs in the DP-777; for the first time ever, the listener is able to achieve the best of both worlds; by employing the specific digital-to-analogue converter best-suited to each format, without compromise. Technical Paper 2. The HD Gemini Digital Engine; Arduous but the most Rewarding. The DP-777’s Organic Digital Algorithm is AMR’s unique programming of the HD Digital chipset so that it deals with the sources of “Digital Ringing.” Specifically, these are; Minimum Phase, Apodising and Soft Roll-Off. The DP-777 also offers alternative digital algorithms; Apodising 808, MP Listen and Traditional digital algorithms. Technical Paper 3. 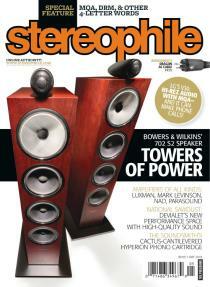 HD Audio: Ringing, why it is undesirable and how to address it. Q: How does the DP-777 deal with Ringing? 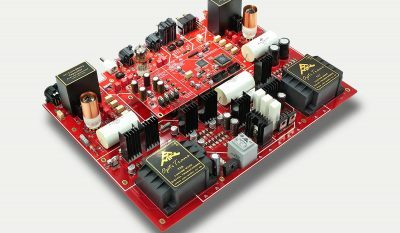 “Ringing” in digital discussions is divided into “Pre-Ringing” and “Post-Ringing” that occur in the recording and DAC chipset. The DP-777’s HD chipset under the Organic Digital Algorithm is the only one of its kind that deals with all three major sources of Ringing; Minimum Phase, Apodising and Soft Roll-Off. Q: At the DAC, what is Asynchronous and what is AMR’s Asynchronous USB? “Asynchronous” has become a common term for Asychronous Upsampling. As such, any DAC using such Asynchronous Upsampling or Oversampling (at whatever frequencies) is NOT Bit-Perfect. 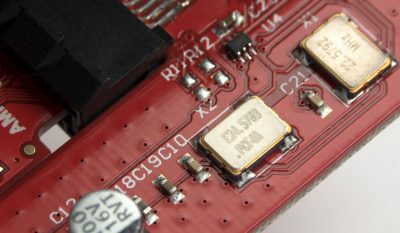 The DP-777 is one of only a handful of components that is “True Asynchronous” which means the clocks on the PC are slaved to the stable clock of the DAC. The DP-777’s Asynchronous USB 24/192 uses USB Audio Class 2.0 in Asynchronous Mode and is fully compatible with USB 2.0 and USB 3.0. 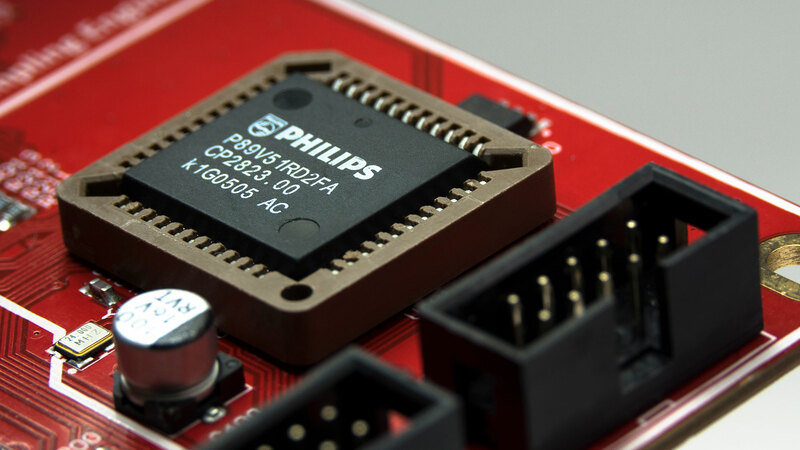 Q: Is the DP-777’s Intelligent Memory System the same as a Memory Buffer as used in other DACs? 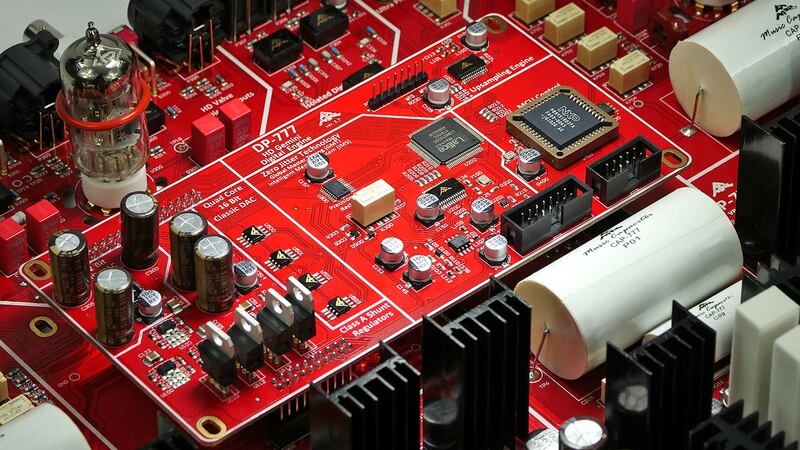 Due to cost and complexity reasons, only a handful of commercial DACs use a memory buffer. For the select few that have such a memory buffer, most if not all, use Asynchronous Upsampling, or Upsampling of some form (they must, unless they employ a system equivalent to AMR’s GMT Clock). The memory buffer does reduce the measurability of incoming jitter, however the signal is now no longer Bit-Perfect as a result of the Upsampling process. Further, the jitter may only be partially removed, while another part is permanently embedded in the signal, something that is not readily apparent by simply measuring the clock jitter of the DAC’s clock. The only way to ensure a Bit-Perfect output when using a memory buffer (to eliminate this source of jitter) is to have a very accurate clock that can intelligently track the input clock (DP-777’s GMT system). This very precise clock works with the GMT/IMS in unison to dynamically track and simultaneously adjust the various parameters of the memory buffer (DP-777’s IMS system). This approach finally eliminates the input jitter AND still keeps the signal Bit-Perfect. Technical Paper 1. Jitter: a Digital Problem that requires AMR’s Digital Solution. Q: Why does digital Upsampling or converting using DSP not bring additional fidelity to the outputs of a CD or standard definition audio file? Should “re-sampling” not improve the sound? Referring to “Information Theory” by Claude E. Shannon, it is simply NOT possible to create more information simply through digital processing in a closed system (i.e. no additional new information is injected into the system). As a result, using a mathematical program to recalculate the music signal means just one thing; “the wrong note at the wrong time”. In other words, the original music signal is now degraded because the Upsampling process is by nature, lossy and not Bit-Perfect. This is why we prefer to not artificially “re-sample” the music file to preserve the “right note at the right time”. The human ear is highly sensitive to music that has been artificially manipulated; no longer correct, this is one of the core reasons why listeners describe “re-sampled” music as unpleasant using adjectives such as “hard”, “etched” or “detailed”. Given this stance, AMR’s DP-777 allows the playback of standard definition files using no digital signal processing and filtering at all and by using the “AMR” Button, reading the embedded sampling data, the DP-777 will auto- configure for ‘original playback’. However, we also offer other options, including Up and Oversampling and different digital filters that can be selected from the remote, simply because these features are expected in a modern product and because the customer should be able to make informed choices. Making such “artificial manipulation” of the signal available but defeat-able rather brings the point home. Q: What is Asynchronous USB? 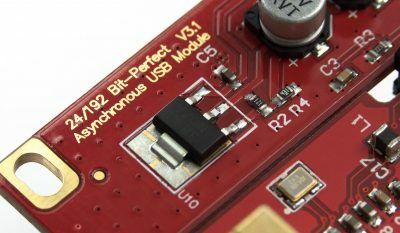 The DP-777 is one of only a handful of components that offers “True Asynchronous USB” which means the clocks are on the DAC side and the computer’s USB is atypically, synchronised to the DP-777. Theoretically, Firewire may be constructed to be asynchronous. 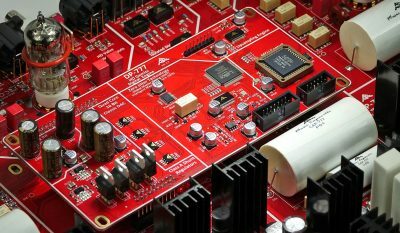 In practice, at present, no commercial asynchronous solutions exist most likely due to issues of complexity such as specific driver needed, problematic hot-plugging , chipset compatibility issues but to name a few. 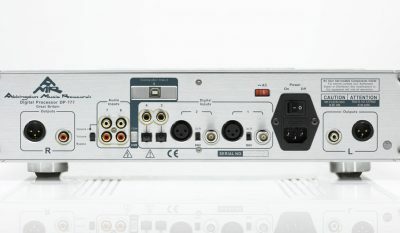 Firewire remains used mainly in pro-audio/video world. Q: Is the USB method of music transfer inferior to SPDIF? No, it can be much better than the common garden SPDIF even without Asynchronous Mode. 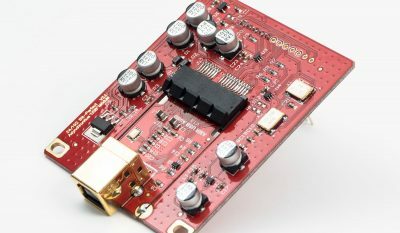 In fact, for the SPDIF to perform on a par with the Asynchronous USB Mode, it requires solutions like Global Master timing (GMT) and Intelligent Memory System (IMS) to ensure the SPDIF connection is every bit as good. Technical Paper 4. SPDIF: an Analogue issue that requires an Analogue solution. Q: What is USB Audio Class 2.0? USB Audio Class 2.0 is NOT the same as USB 2.0. USB Audio Class 2.0 is built into Mac OS X (10.6.3 and above) and many versions of Linux and is supported by Microsoft on Windows. It is set to be promulgated an industry-wide standard to achieve native “plug & play” support in all future operating systems. The DP-777 requires a minimum of USB 2.0 AND USB Audio Class 2.0 compliant Operating Systems (Mac OS X, select distributions of Linux) or a USB Audio Class 2.0 Driver (supplied for Windows) in order to have sufficient bandwidth for 24-Bit 176.4/192kHz audio. In principle, higher sample rates and word length could be streamed by our USB solution in the DP-777, however USB Audio 2.0 has set the industry standard at 24-Bit/192kHz. The DP-777’s Asynchronous USB 24-Bit/192kHz means native and future-proofed playback on OS X and Windows. Q: How does USB Audio Class 2.0 differ from USB 2.0? These are two completely different and distinct standards. It should be keenly stressed that USB Audio Class 2.0 should not be confused with USB 2.0. The former as its title suggests, is audio-based and is required to support sample rates above 96kHz (i.e. high-definition music). AMR is one of a handful of companies to have brought such a standard to market following the industry definition of the USB Audio Class standard. The latter (and coming USB 3.0) relate primarily to the data transmission speed and is therefore more generic in nature. Most USB DACs do not follow the global USB Audio Class standard and hence will require drivers to run on PCs (including Macs, Linux) which may be unavailable/incompatible in the future and must be supplied/updated by the manufacturer into perpetuity; for each new operating system. Q: Is the DP-777 compatible with USB 2.0 and USB 3.0? Q: Do all computer audio files sound the same, assuming the sampling rate and data length of the audio files are identical? First there are two different kind of audio files, lossy or lossless. Lossy audio format includes all MP3s and AAC. Lossless audio formats include WAV, FLAC, APE, Apple Lossless but to name a few. The lossy audio format is by design, not high-fidelity and hence is not suitable for high-end audio playback. In theory, all lossless audio formats should sound the same. Different lossless decoders utilise the CPU differently. Consequently, among other things, different levels of software-induced jitter is created. As a result, each and every different kind of computer file can sound different to one another. Technical Paper 5. The CAS; why do computers perform SRC and Data Length Conversion by Default? Technical Paper 6. If the CAS is Bit-Perfect, do all such computers sound the same? 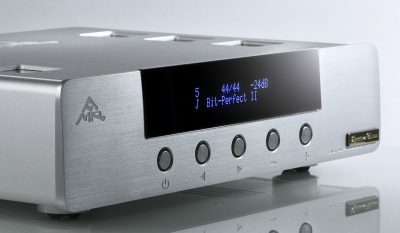 Q: What is AMR’s definition of High-Definition (HD) audio? AMR’s very rigorous definition of HD recordings are those that were originally made at 88.2kHz or 96 kHz sample rates (or higher) and 24-Bit word lengths. The only possible exception is allowing 44.1/48Khz 20/24-Bit recordings as HD (e.g. we allow HDCD as one option). In no uncertain terms, this relates to the original, native format. Therefore, taking a 16-Bit 44.1/48KHz file and Upsampling it does not generate a “High Definition” source file; it merely degrades the original signal. 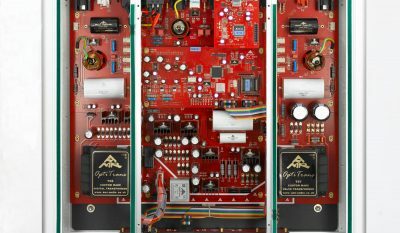 Q: Typically, why is computer audio unsatisfactory, even when an external DAC is used? Most computers, be it Windows or MAC by default do not play back music file in a “Bit-Perfect” manner; the music file has been artificially manipulated for the worse. The Computer produces Software-Induced Jitter which is directly proportional to its CPU loading. The computer’s SPDIF output usually contains a large amount of jitter. The computer’s USB output also contains a large amount of jitter. All computers use a switched-mode power supply which generates and injects a vast amount of Radio Frequency and Audio Frequency noise. This noise is then coupled into the HiFi system via ground loops and the mains power supply. From the above, it is easy to see why most people find computer audio sound highly unsatisfactory. MAC OS X: Beyond bit-perfect and Integer Mode by Audirvana. Q: Do all Computer Audio Sources sound the same? An emphatic NO. While computer audio is easy to setup, configuring it for the highest quality of playback is somewhat more complex and goes well beyond the remit of this FAQ section. The principle for attaining good sound is attention to Bit-Perfect playback (probably the most pivotal), shutting down/removing non-essential functions; unloading the CPU. These are typical considerations on the software side. On the hardware side, one must focus upon clean-up of the power supplies, issues of RFI, pollution of the local mains power supply with noise, ground/earth-loops and so on. 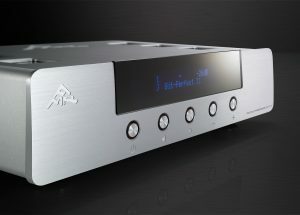 The Computer Audio Source is just like any other high-end audio device, numerous stages effect the overall sound quality. Q: Which is the best Computer System/Playback Software? The pace and development of computer audio programs and operating systems is nothing short of breathtaking. No amount of testing, not even by AMR can be called fully exhaustive. Nevertheless, we have tested the lion’s share and achieved excellent results with both Macintosh and Windows-based computers. On the Macintosh platform, we recommend Audirvana, a powerful computer audio software program that has been tested along with the DP-777 to ensure an end-to-end, dedicated Bit-Perfect CAS solution. On the Windows platform, we suggest J. River’s Media Center which is also, a user-friendly computer audio software program that has been tested with the DP-777 to ensure an end-to-end, Bit-Perfect computer audio solution. The list of such computer audio software capable of Bit-Perfect playback is growing almost on a daily basis. Please feel to experiment. Q: On Macintosh OS X, what is Integer Mode processing? Integer Mode is a feature of the software driver Apple built into the operating system. However it is not part of the documented audio specification for OS X nor USB Audio Class 2.0. Within OS X, there is a similar process to K-Mixer in Windows (mixing the streams and converting between float and integer) called “Core Audio”. In a sense, Integer Mode’s function is to bypass the Core Audio’s internal mixer and float to integer conversion stage. By bypassing the mixer and internal float to integer conversion, the load on the CPU is reduced and hence software induced jitter is also reduced. As a result, sound quality will be improved. Q: Is the DP-777 compatible with Integer Mode? Yes. As this all occurs in the Mac OS and the relevant playback software, the hardware is not involved because the hardware only ever operated using integer data. The bottom line is that as long as the Audio Device is fully compliant with the specifications outlined by USB Audio Class 2.0, then it will work with all the features available from the USB Audio Driver in OS X. It should also be noted that Windows ASIO and WASAPI are essentially “native integer mode” for Windows. Q: What are the available MAC Audio Playback Programs (Freeware)? Q: What are the available MAC Audio Playback Programs (Payware)? Q: What are the available PC Audio Playback Programs (Freeware)? Q: What are the available PC Audio Playback Programs (Payware)? Listening to the predecessors, playing the sound is like a scorpion. When you feel that you have already known a little bit, you may be able to touch your feet. For a glimpse of it, only the ‘audio elephant’ is full of appearance. How much fun, this time, I took the initiative to ask the scare pigs to try AMR, a word of mouth, a good voice, “I want to try the microphone, AMR is wrong” Oh! Happy to die, I wrote my heart 3… The CD and DAC first. 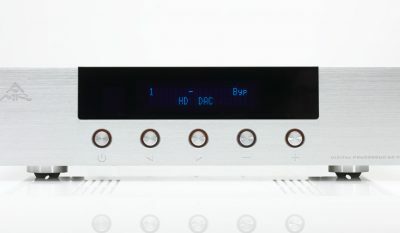 Doctor John reviews the AMR DP-777 DAC! 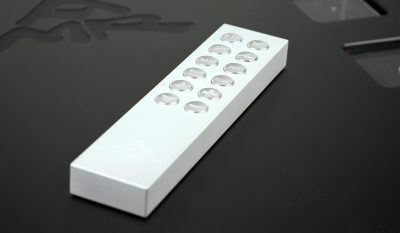 units do best, bring the enjoyment in listening to music, in a big way. Thank you for a glowing review of the DP-777.